To determine the effect of low C/N organic amendments differing in decomposability and high C/N residue added to soil separately or as mixes with different ratios on plant growth and nutrient uptake, nutrient availability and microbial biomass over time. A sandy clay loam soil was amended with young faba bean shoot (C/N 9), sheep manure (C/N 6) and mature wheat straw (C/N 82) individually or as mixes of low and high C/N residues at different proportions. Wheat was planted on days 0, 35 and 70 and grown for 35 days. Soil and plants were sampled on days 35, 70 and 105. Shoot and root dry weights were low with high C/N residues alone but similar in the other treatments. Shoot N uptake was 0.3- to 2.5-fold higher than that of the control with low C/N residues alone and their mixes. Available N decreased with the proportion of low C/N residues. Increasing proportion of sheep manure in mixes with faba bean residues reduced shoot N uptake and available N. But in mixes with high C/N wheat straw, the proportion of sheep manure had little effect on shoot N uptake and available N. The effect of slowly decomposing sheep manure on the measured parameters depended on the other organic material in the mix. 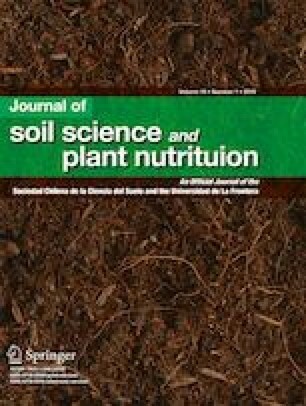 An increasing proportion of sheep manure increased shoot N uptake under N limiting conditions (mixed with wheat straw), but decreased it with faba bean residues that released large amounts of N.
The online version of this article ( https://doi.org/10.1007/s42729-019-00049-4) contains supplementary material, which is available to authorized users. Thi Hoang Ha Truong receives a postgraduate scholarship from Vietnamese International Education Development.